St. Ignatius of Loyola Church, located at 43rd and Wallace streets in West Philadelphia, celebrates its 125th anniversary this year. St. Ignatius Parish in West Philadelphia will mark its 125th anniversary with a 10 a.m. Mass on Sunday, July 29 celebrated by Bishop John McIntyre, followed by an afternoon banquet at the Springfield Country Club. Also as part of the anniversary celebration Bishop Joseph Perry, an auxiliary bishop of Chicago, celebrated the 10 a.m. Mass at the church last Sunday, July 1. The St. Ignatius Parish of today is quite different than the original parish of 1893. For one thing, at its founding it was a German national parish. Today its congregation is African American. St. Ignatius was established at its present site at 43rd and Wallace Streets at the suggestion of Father John Shanahan (later Bishop of Cleveland), the pastor of Our Mother of Sorrows Parish, to serve what was seen as a growing German population in the area. Father William Heinan was the founding pastor and at the time there was also a Catholic school taught by the Sisters of Christian Charity. However in the decades that followed most German Catholics left the area. Meanwhile in 1924, Cardinal Dennis Dougherty authorized the founding of an African American chapel, Holy Savior Mission, at first at 39th and Haverford, under the charge of Father Vincent Dever. Much of the early funds came from Mother (now St.) Katharine Drexel and her Sisters of the Blessed Sacrament who taught the children. After the Blessed Sacrament Sisters moved to 43rd Street the small African-American congregation that had formed there worshiped in the basement of St. Ignatius. In 1927, 15 children received their first holy Communion. Because of the changing demographics of the neighborhood, in 1928 Cardinal Dougherty folded Holy Savior Mission into St. Ignatius, which ceased to be a German parish. At the same time the Blessed Sacrament Sisters replaced the Sisters of Christian Charity in the School. 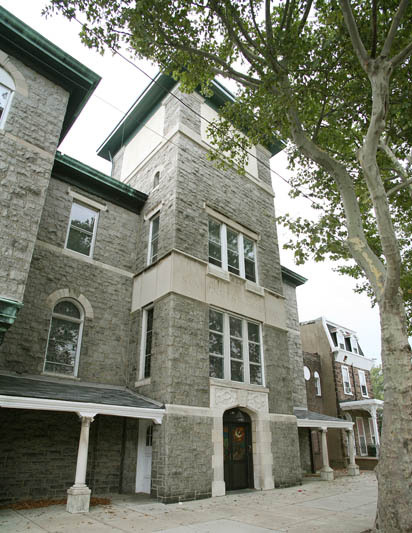 Although it is not officially designated as a Black Catholic parish, in reality at this time it is oldest black parish in the Philadelphia Archdiocese. Philadelphia’s older dedicated black parishes, St. Peter Claver, Our Lady of the Blessed Sacrament and St. Catherine, have all closed. They were reminders of past prejudice when black parishes were created not because of a language barrier but because white congregants (and often priests) would not welcome African Americans into their parish. St. Ignatius is really a territorial parish in a neighborhood that is overwhelmingly black. Generally speaking, Philadelphia parishes that started with European-American congregations tend to have diminished numbers after they become predominantly African American. The reason is simple. The majority of Philadelphia’s African Americans trace their roots to the southern states, which were predominantly Protestant with the exception of Maryland and Louisiana. More recently, in 2013 St. Ignatius absorbed its mother parish, Our Mother of Sorrows, and is twinned with St. Cyprian Parish with Msgr. Federico Britto as pastor of St. Cyprian and administrator of St. Ignatius. At this point the St. Ignatius congregation is relatively tiny. Its weekend Mass attendance, by the last October Count was 173, the sixth lowest in the archdiocese and a number of parishes with more than twice that number have been closed. But with that said, according to the 2017 October Count the attendance was up 30 from the previous year, which could be a hopeful sign. Among those attending not necessarily from within the parish boundaries is a small group from the Ghanaian community who come for a monthly Mass in their own language celebrated by a visiting priest, Father Linus Nangwele, according to Msgr. Britto. “People are coming back, we are seeing more people,” said Portia Edmunds, who was born and raised in St. Ignatius Parish, where her family goes back several generations. Among the activities she cites in the parish are two Courts of the Ladies of Peter Claver and an active youth ministry. A neighborhood asset is St. Ignatius Nursing Home, which remains a parish and neighborhood institution to this day. While it is now independent of the parish, it continues to flourish and grow, and in fact is about to add a new building for personal care patients, explained Msgr. Britto, who is a board member of the nursing home. Not everyone who worships at St. Ignatius is Catholic. Recently, after a local Protestant church had a fire, the congregation was welcomed to worship at the former St. Ignatius Parish School. That school in fact continues as Our Mother of Sorrow/St. Ignatius of Loyola School, also located on 43rd Street. As an Independence Mission School it does not operate under the control of the archdiocese or the parish. 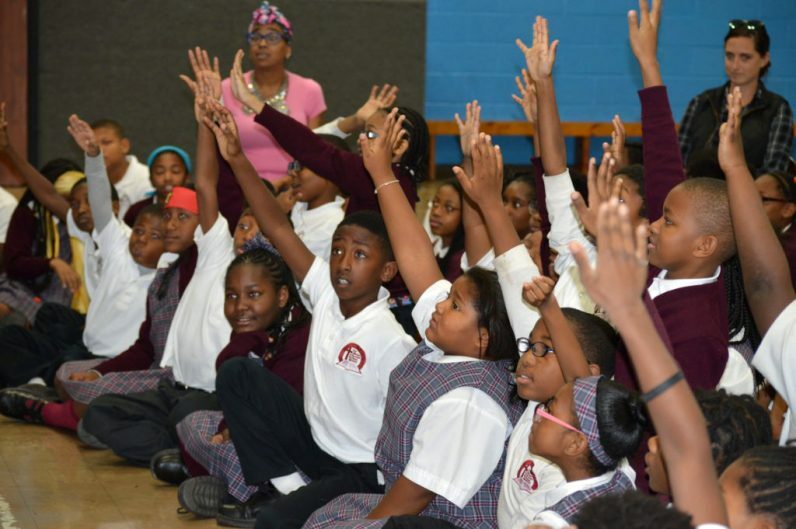 Sister of St. Joseph Owen Patricia Bonner is principal of the school, which has an enrollment of 240 students. For more information on the St. Ignatius 125th anniversary celebration, call 215-386-2832. Ignatius inspires. Saint Ignatius – Pray for us.